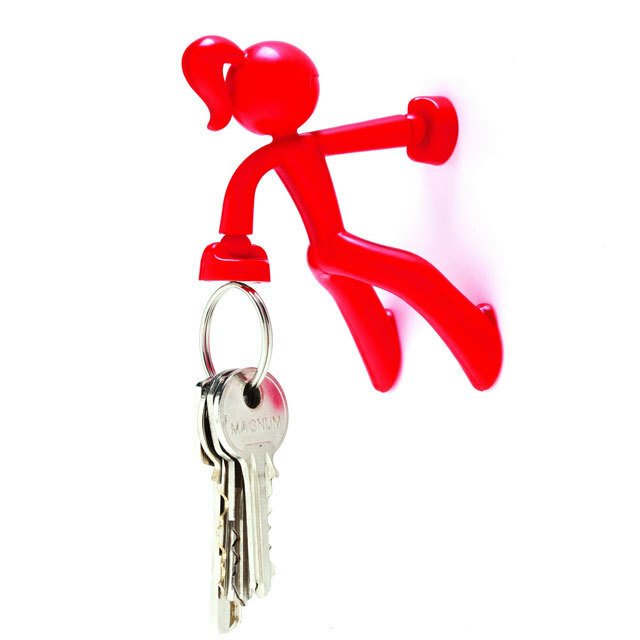 Key Petite | The Magnetic Girl! Key Petite is the indispensable feminine version of Key Pete and can hold up to 30 keys on one hand! While Key Pete has real magnetic power, his sister Petite has girl power. Definitely a great gift for strong women, like her! 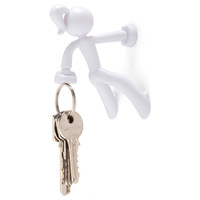 Place Key Petite on any metallic surface and let her take charge of your keys, scissors, nail clippers and more! She's handy and unique, while her lively colours make her easy to spot on your fridge! Key Petite can dangle metal objects up to 20 times her body weight and is much more attractive than the conventional suction hooks and holders you normally see in the office! 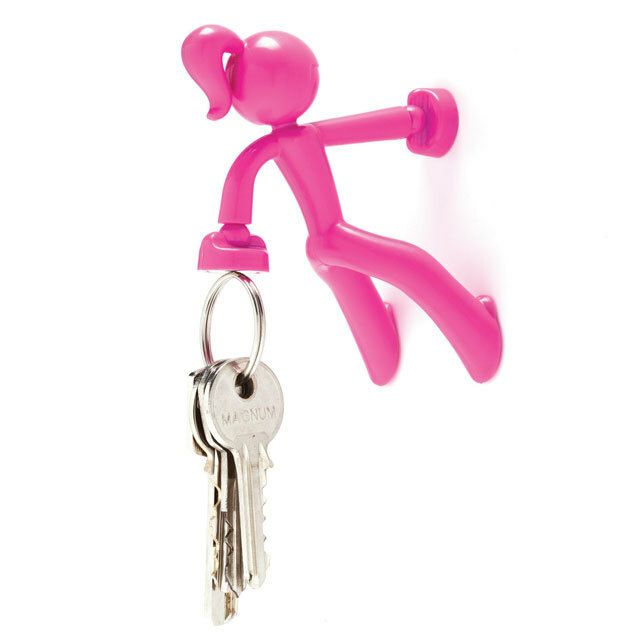 Measuring 7cm tall, Key Petite is available in three fantastic colours - pink, red and white (chosen at random). If you have a colour preference please let us know by making a note in your order comments. We will do our best to fulfill your request! This is not a toy, not suitable for children under 3 years.